Published on June 23, 2012 in Graduation, Mature Students, Parents Of Students, Positive Mindset and Study Mistakes To Avoid. 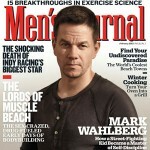 4 Comments Tags: Back To School, Mark Wahlberg, Marky Mark. I stumbled across an article that said Mark Wahlberg is going to get his high school diploma. What does it tell you when a multi-millionaire actor wants a high school diploma? It means there is value in getting one. This is a man who’s seen more of the world than most and experienced things to fill 3 or 4 lifetimes yet he still feels a little intimidated by the process. Education is worth something. It’s not just self-esteem issue. The stats are staggering, but let’s face it, most high school dropouts don’t care about the stats, but they might care about a RICH, SUCCESSFUL ACTOR going back to school. So there you have it – ONE MORE REASON TO STAY IN SCHOOL! In fact education if it is education in the right sense is liberating. I fully agree with Will Durant when he wrote “education is the moulting of dogmas a progress towards the art of doubt.” This means education aught to endow us with an open mind and I think when people realise this then they would certainly go for education. However, there is a flip side to it. One should not carry the open mindedness and doubting toms’ syndrome to the extreme for such tendencies would create psychiatric cases. So a balance is necessary: one must also generate faith in oneself along with a critical bent of mind to benefit from the liberating influence of education. How long does it take for this book to get to Norway? How long does it take for this book to get delivered into Norway when ordering it? It’s an electronic book – it’s instantly delivered at the same speed everywhere, including Norway.